How can I have my contract form printed the same as when someone fills it in? I created a contract for my business, but noticed that when someone fills out the contract, the only information that gets emailed to me is what's in the input boxes. I would like to be able to print out the entire contract with all of the verbiage and input boxes so that I can put it in their file. Do you mean you want to be able to print out the entire contract with the filled in end-user information along with what you have? 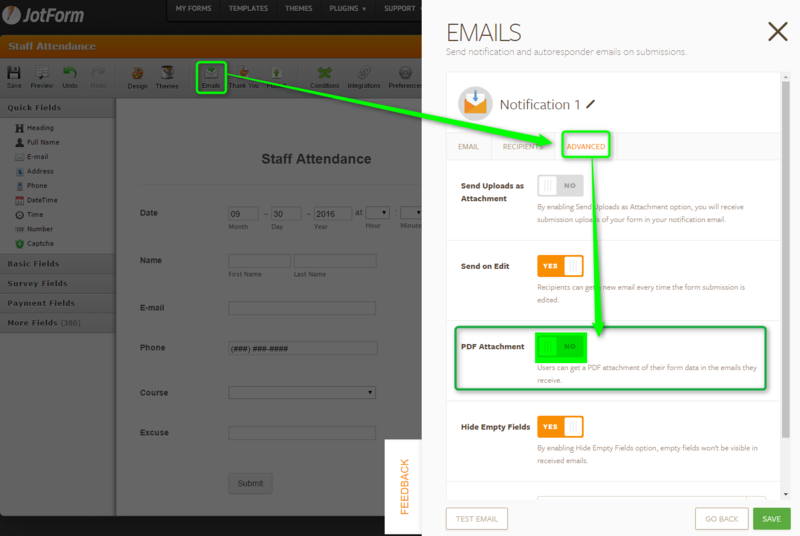 By default your form will only show you via email notification what was filled out for your answers. If you want more then that in the email then you would need to modify the template or enable the text and headers as well as the pdf attachment which you can enable in your email setup but, you can also customize the pdf as well. Also, this guide here https://www.jotform.com/help/335-How-to-Print-the-Form-with-the-Users-Data may help you more on top of that. Great, thank you so much for your reply! That helped fix my issue!